Dry Skin Brushing May Be Just As Important As Brushing Your Teeth! The skin is the largest organ of the body and like the colon and urinary tract it’s a very important waste disposal channel! Dry Skin Brushing is a technique that quickly removes the top layer of dead skin and allows your whole body to “breathe” and rid toxins. It brings more nutrients and oxygen to the surface leaving the skin softer, smoother and more youthful looking. It can even give you more energy by stimulating your immune system. • Helps clear up acne by unclogging pores and allowing toxins to dissipate. • Helps boost the immune system. Dry Skin Brushing can even help break up and eliminate cellulite! Focus brushing on any area where you have cellulite. Many report amazing results since dry skin brushing breaks up trapped toxins that are stored below the skin given them a way out of the body. Begin with the soles of your feet and move up your legs to the buttocks, back and stomach. Always brush toward your heart. Do the same with the hands moving up the arms and then to the chest. Continue brushing toward your heart or against the direction of the hair on your body. After brushing, your skin will feel softer, look more youthful and will glow like never before! Note: It is recommended that women avoid the breast area. At first it may fell a bit uncomfortable to dry skin brush over sensitive areas of the body such as under the arms, or on the midsection of the body. In time you will adapt and may actually begin to like the tingling sensation. A new dry skin brush may seem a bit more coarse and scratchy. Don’t worry; this scratchy feeling is not damaging to your skin! You will find that your brush will soften with each use and after about 10 sessions it won’t seem as course. I recommend replacing your dry skin brush every 4-5 months. When To Dry Skin Brush? You can dry skin brush any time of the day. Personally I like to do it first thing in the morning. Many like to do it before taking a shower or before working out since it opens the pores and allows the body to excrete more toxins during the shower or through perspiration during working out. It’s especially good right before a hot sauna. 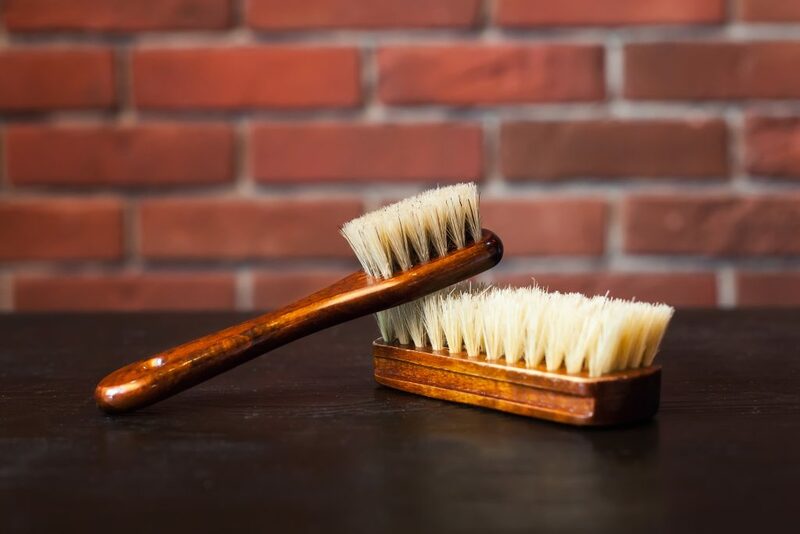 I recommend dry brushing at minimum once per day and preferably twice per day, morning and night and 3 times per day during times that you are doing a fast or body cleanse. Where To Find A Dry Skin Brush? We are working on designing our own dry skin brush to include better quality bristles and a longer handle but for now you can find decent a brush at most bath and body shops as well as many health food stores. The best dry skin brushes are made of a special type of palm and looks like a rounded toilet bowel brush. You can see an example of the brush on Amazon.com by typing in… Purest Palm Body Brush. Welcome to the world of smoother, shinier and more youthful looking skin and a healthier body overall… Welcome to the ancient world of Dry Skin Brushing!